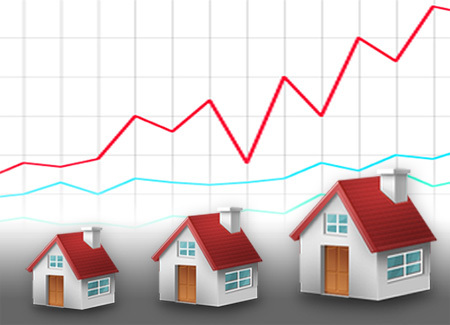 Keep your hand on the pulse of the local real estate market, learn "what's new? ", and read the latest tips & advice from the #1 real estate company in Globe, AZ. This blog is updated regularly, so check back often! 09/26/12 Interest rates are still at historic lows. Call us today!! 09/22/12 Median Home Prices- The median home price nation wide is $163,000. The fastest growing area in the nation (Madera, California) has a median home price of $125,000. The median home price over the last year in Globe & Miami, AZ was: $85,750. With prices and interest rates at historic lows, there's never been a better time to buy real estate in this area!!! 09/14/12 Internet Scams- Just a reminder to all sellers, there are lots of scams on Craigs List and on the Internet of buyers pretending to be interested in order to get you to send them money! Never reply to an offer that asks for money from the seller! 09/07/12 QE3- Bernanke announced the feds plans to pump money into the economy by buying additional dept. Known as quantitative easing, nicknamed QE3, The Fed currently forecasts interest rates will remain "exceptionally low" until late 2014. This is great news for buyers and sellers. If you sell now, you will still have time to buy while rates are at historic lows. While this announcement appears to be meant to give us confidence in the future and the markets, it is not a guarantee! If you're thinking about buying or refinancing... 3.49% is the best we've ever seen in our lifetime!!! 09/01/12 Happy Birthday- Joe Jones - and congrats on your recent closing! He's just one of our valued customers who purchased 3 properties with no money down!